GUTERMANN (SKALA 240) 100% POLY. HEMMING 10,000M - SOUTHWEST SEWING MACHINES, LLC. Are you looking for a fine, semi-transparent quality sewing thread? Then Skala is the ideal solution for you. The fields of application are varied: whether for overlocked seams, blind seaming or for blind hemming - Skala offers you excellent sewability characteristics. Thanks to its semi-transparency, Skala is highly adaptable and is therefore ideally suited for sewing on coloured fabrics. 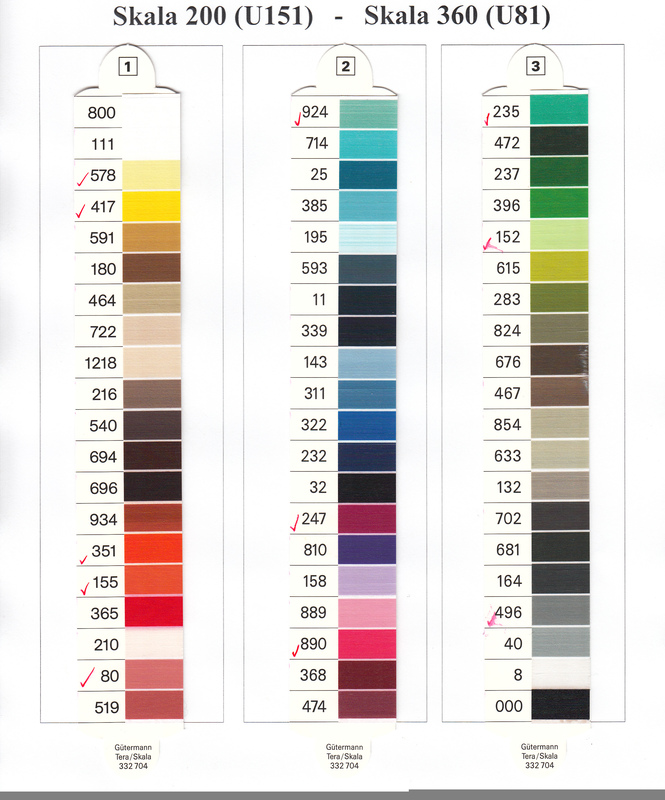 Skala is the perfect sewing thread for almost invisible seams. ☛We will email you once we check stock/availability on selected colors ....... if not in stock it will take approx. 3-4 weeks for it to come from Germany.